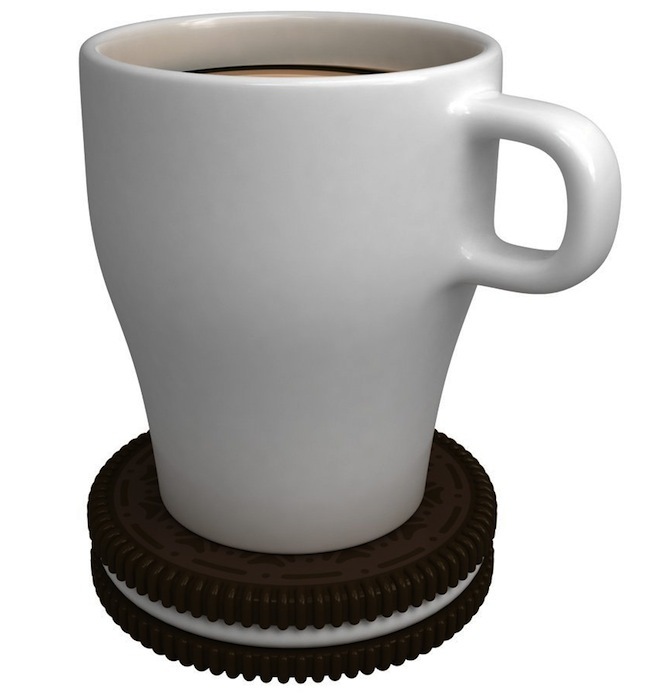 Oreo Cookie USB Mug Warmer « Gluttoner: You gonna eat that? Warm up your coffee with a cookie. The Hot Cookie The USB Powered Coffee Cup Mug Warmer plugs into your computer’s USB port and keeps that drink warm. Looks like an Oreo cookie but is not (for legal reasons). Also I would have to assume that it’s not as tasty as an Oreo (for obvious reasons).